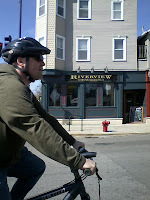 At the end of each of my blogs here, as well on most of my social networks, it sez that I am an "amateur bicyclists." 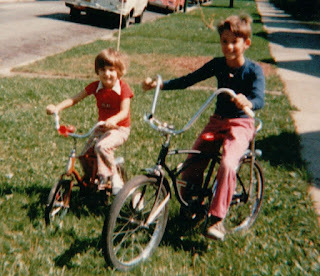 As a kid, I would loved to bike around the block in my neighborhood, but when I became an adult and moved out on my own, I found that I didn't like biking anymore. This might be mostly because I didn't feel safe biking now that I had to move out onto the city streets. 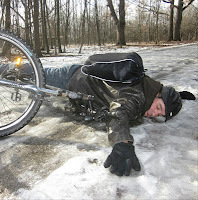 So, after a whole lifetime (up to that point of the ripe old age of 21), I gave up biking. Fast-forward to another 20 years later, I am now biking all of the time. So what has changed? 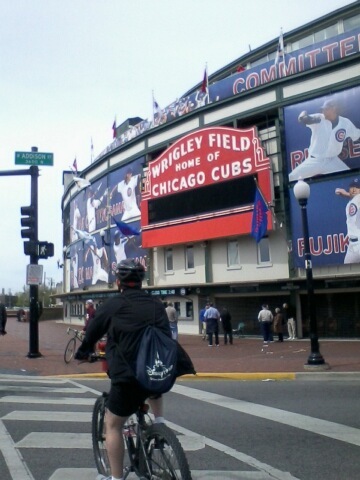 For me, Chicago has become more bike friendly. I feel safe, like I belong. It was like there was some kind of movement to draw attention to this group of our society. Guess what? There was, and still is, which is lead by the group called Critical Mass. They organize a monthly "bike ride" for a few hours to take back the streets. Their purpose, as written on the Critical Mass website; "Some people see Critical Mass as a forum for grassroots political change. Some people see it as a protest against cars. Some people just like to ride. The Mass, however, is just that...a bunch of bike riders." Some automotive drivers must believe that their heavy metal object on wheels are also invisible, as many do law breaking antics of their own. I have seen my share of illegal u-turns, "Hollywood stops" at intersections and double parking in a bike lane. Bike shared lane with paid meter spots? 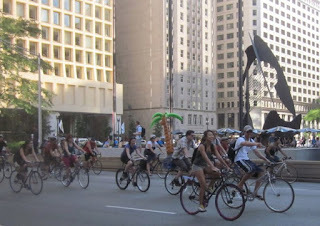 With more and more people hitting the streets with bikes, whether it is for recreational bike sharing or if it is for practical reasons, due to the high economics of driving in Chicago, (perhaps you have heard about our parking meters). Yesterday, Mayor Rahm Emanuel introduced a plan to the City Council, to raise fines for cyclists who break traffic laws. Currently, a fine for cyclists who disobey Chicago traffic laws is $25, with a proposed increase to a minimum of $50 and a maximum of $200. 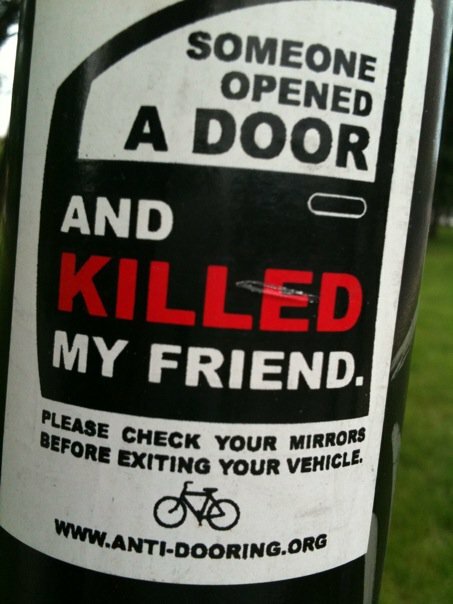 Perhaps this will help get a grip on the reckless bikers that are out on the streets, as there were 1,675 bicycle crashes last year in Chicago. 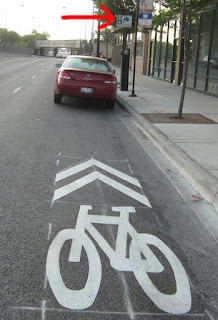 I contacted fellow amateur cyclist, Steve Tanner, who was was "right hooked" which, Steve explained to me, is when a car turns right onto another street, cutting off the cyclist, prompting an impact with the car. He shared his official incident with me; "As I neared the intersection with the intent to continue northbound, the driver (also) traveling northbound, overtook my bike by passing closely to my left and proceeded to turn right directly in front of me." Steve explained to me, by law this action failed to yield the right-of-way to his bicycle (per Municipal Code of Chicago, "9-16-020 (f) Turning right in front of a bicycle") nor allow a safe distance ("9-36-010 (c) Overtaking on the left"). 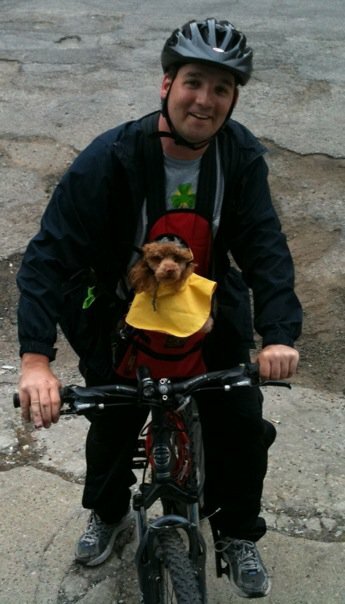 This resulted in a crash that threw him from his bike onto the street. He contacted the Active Transportation Alliance for help, as he points out, in hindsight, that "it's really hard to battle a driver in a crash. Car vs. car... you have two insurance companies fighting it out. 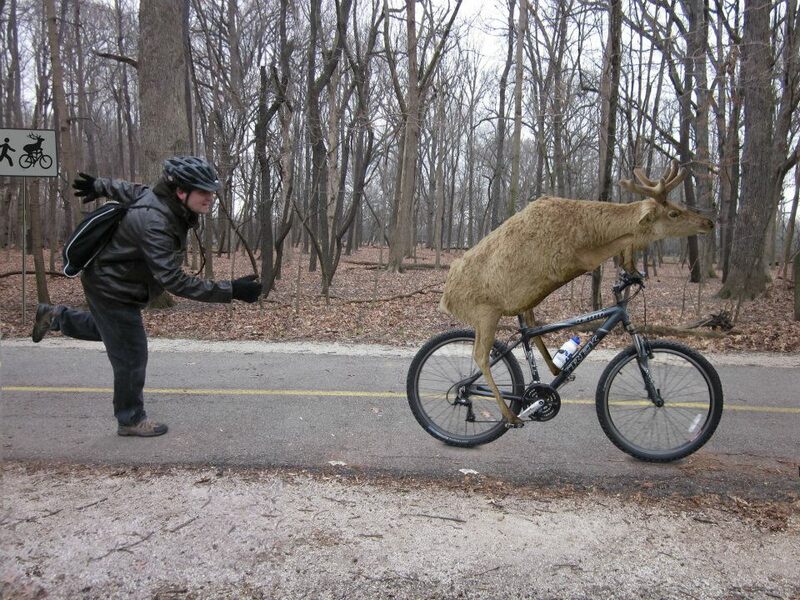 Car vs. cyclist...you are on your own vs. the car insurance company. There is no one in your defense. I ran into that issue head on." Steve added, "I personally think if you've been involved in hitting a cyclist, part of your penalty should be being forced to ride a bike in traffic." Drivers must get use to the fact that they now ride along with bikers, and the bikers need to follow the rules of the road as well. 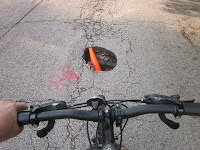 However, there are times that even I break a rule while biking, but this is part of the defensive biking that we all must endure. If I am to follow the same rules as cars, then when I need to make a left hand turn at a busy intersection, I am suppose to get in front of the cars in the turning lane and wait for the light. Name one driver who would want me to do that!?! Also, I have done the "Hollywood stops" (mostly on side streets and after checking to make sure that it was all clear). Completely stopping and restarting on a bike takes much longer than it does for a car. I am OK with this delay, but those drivers on the streets don't seem to be as patient, as the roar past me afterwards. 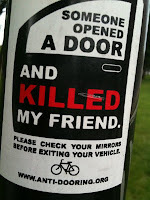 Bottom-line, drivers would just like the bikers to just disappear. Um, they won't.. Will they push the automobile the way of the horse and buggy? Probably not, but that IS what Josiah Shepard once thought about the cars driving on the same streets as the horse and buggy. (Psst, he was the president of U.S. Wagon Manufacturing Co.) "While the horse and buggy industry is losing some market share to automobiles, the internal combustion engine is a specialized technology and will never completely replace horses." As reported in the Chicago Sun-Times; "Emanuel installed Chicago’s first, of what he promised would be 100 miles of protected bike lanes over four years less than a month after taking office. 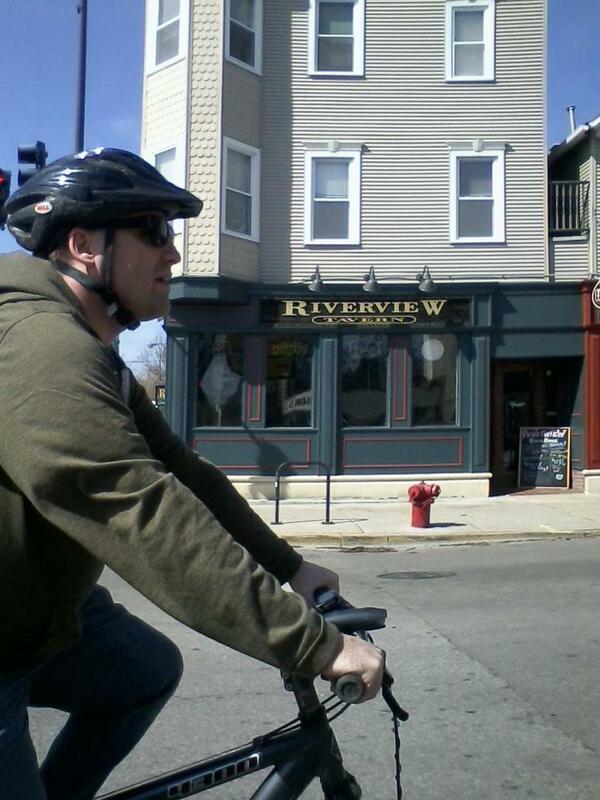 The city now has 204.1 miles of on-street bike ways. That includes: 18.6 miles of protected or buffered bike lanes; 134.2 miles of standard bike lanes and 39.8 miles of marked shared lanes. 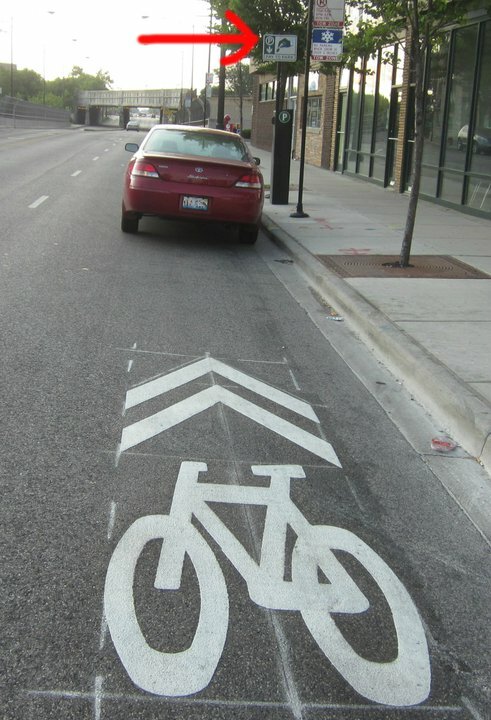 Protected bike lanes are expected to be installed this summer on Milwaukee and on Clybourn. 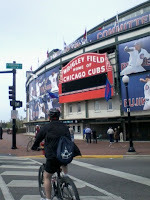 More than 20,000 people bike to work each day to jobs in downtown Chicago. That’s a 200 percent increase since 2005, according to City Hall." So drivers, can fight it, or they can just start adjusting to it. These bikes are here to stay. "The golden era for the buggy business is over, but the silver era could also end up being quite good. Our view is that we’re not defending horse-drawn wagon transportation, rather we’re defending horse-drawn-wagon-style transportation. That will survive, I’m convinced about that. I believe the horse and buggy industry will live a lot longer than many people believe.”- Josiah Shepard, president of U.S. Wagon Manufacturing Co.
...or we can just throw everything out the window and try how they do it in India.